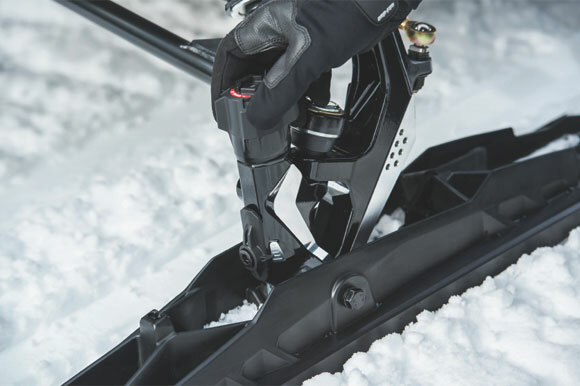 BRP is making its heralded Pilot TS ski available to more Ski-Doo owners with accessory kits that allow upgrades to sleds not equipped out of the box with the skis. 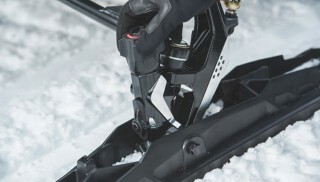 The Pilot TS ski allows riders to dial in front end bite to match conditions and their riding style. Twisting a knob in front of the ski leg raises or lowers a ski runner/carbide blade. Fully extended, BRP says the blade runner delivers maximum precision and bite in corners, especially in hard and icy conditions or in fluffy snow conditions. When the blade is fully retracted, BRP says the ski delivers easier steering and virtually no darting. 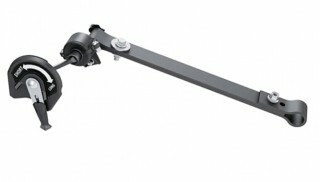 There are 20 clicks of adjustment over the .5 inch/12.5mm range and 10 turns of the knob covers the entire range. The position is indicated on a gauge on the adjustment stem. The runner is carbonitrided for hardness and long life. Requirements for adding the Pilot TS skis are having a RAS 2 front suspension and the 2016 model Spindles. Owners that don’t have the RAS 2 suspension can add that with kit numbers 860201241 or 860201353 and get the spindles with it. 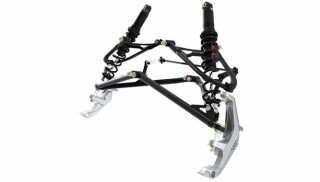 Visit www.store.ski-doo.com for more information.